Smartshine Car Detailing is owned and operated by Harvey Chand. Passion for cars since leaving school at 16 years old, started working as trainee as his local leading bodyshop, learning all aspects of paintwork when only the best will do. 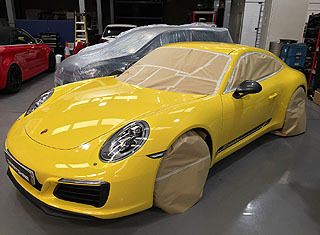 Over the years became the top paint sprayer for the bodyshop with eye for detail. Started his car detailing business that matches Harvey's obsession, attention to detail and expertise when it comes to car detailing. 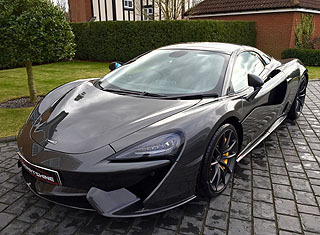 Reason why when you book your vehicle with Smartshine Car Detailing you will be amazed with the work carried out by us. 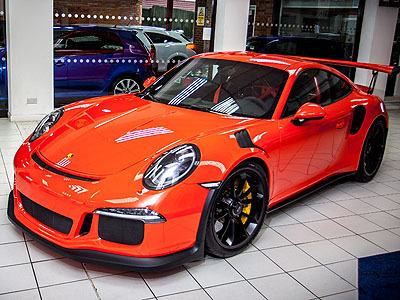 No matter what the make or value of your vehicle, every vehicle booked will get the same care, attention to detail whilst in our our hands and deliver only the very best car care. 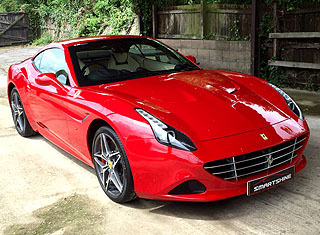 Having your car professional detail will totally transform the vehicle's paintwork. 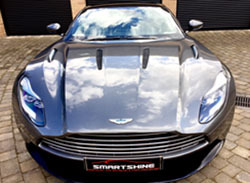 Smartshine Car Detailing are the leading car detailing & paint protection company in the UK. 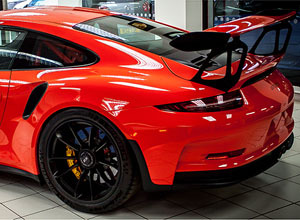 We are working with many car dealers companies to provide you our unique detailing services. 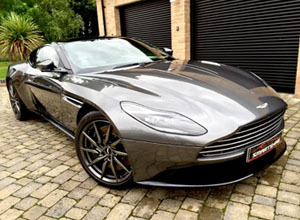 For all your car detailing requirements contact us today for more information. Contact Harvey on 07773 614 256 or fill out our contact form. See all of our detailing work	At Smartshine Car Detailing we have a passion for detailing. 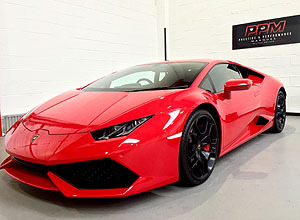 See our portfolio for cars we have been working on recently. 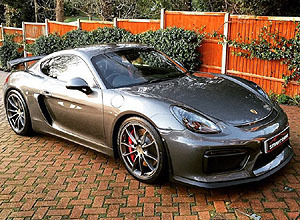 "I have been using Smartshine Detailing for 10 years, and wouldn't trust anyone but Harvey to detail or carry out paint correction work on my cars." Any questions? Contact Smartshine Car Detailing today. Why choose Smartshine Car Detailing? 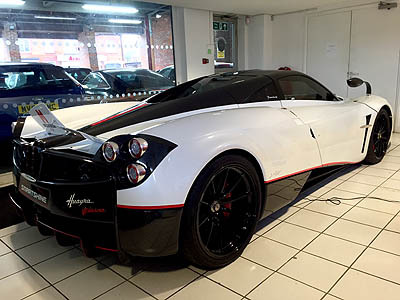 Our car is often the second biggest investment you will make, regardless of what you've spent £10, 000 or in excess of £100, 000. With the resale value of any vehicle reduced due to the condition of your car with the wrong hands. Without the experience, time, products, or even the time to spend hours washing, polishing and caring for your car yourself. 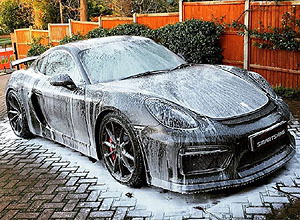 You may be looking for a better service than the high volume, low quality valeting centres that now occupy the old petrol stations everywhere. 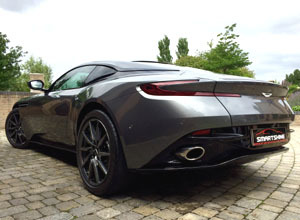 You may be looking towards one of the increasing numbers of detailing companies that offer the quality your car deserves. 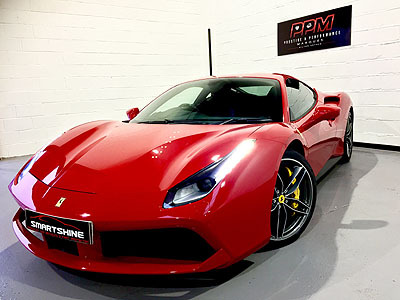 An increasing number of clients as well are now using Smartshine Car Detailing to prepare and protect their brand new cars. 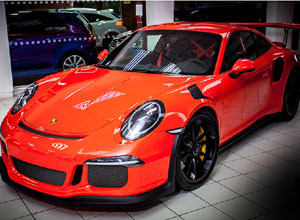 For years car dealerships have offered a paint protection system that claims to protect your paint for 5 - 10 years. The sad reality is that these are very cheap products and we have see how quickly and poorly they are applied by the dealerships in house valeters, often taking less than 1 hour. 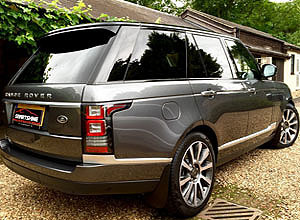 During the rushed process unsightly swirls are easily put Iby cars paintwork and when the correct application guidelines are not followed the protection will not last long as dealers claim. 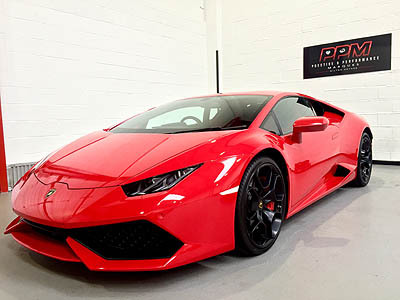 For around the same price as the dealership will charge, we will spend 6 - 8 hours carefully checking the cars paintwork and correcting any areas that may been marked during transportation, and then carefully apply a long lasting ceramic coating to the paintwork. Detailed cars will look better than new once we are finished. 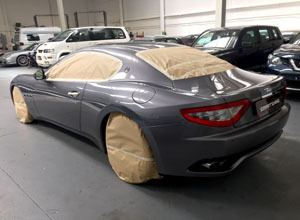 The end results the way your new car should look and properly protected from the elements. 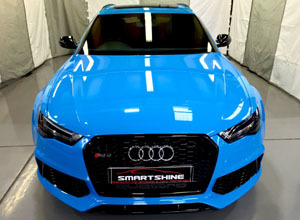 We at Smartshine Car Detailing believe we are among the best of the best in the UK when it comes to offering paint correction and high quality paint protection service. We hope that by browsing though our detailed portfolio and our testimonials, you will trust Samrtshine Car Detailing to work on your pride of joy. 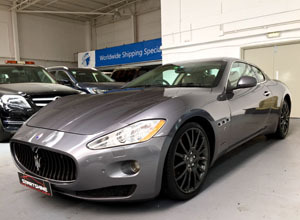 Where clients can drop off their cars to us to detail your car for a finish which is better than new. 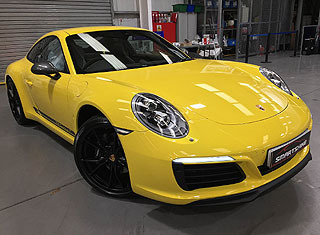 In order to do this, we need to carry our car detailing work in the best possible condition in controlled environment, which is our clean, well lit and fully detailing studio. Of course we are still over a mobile based service if adequate indoor space with good lighting, electricity and water supply can be provided. How and where we operate? 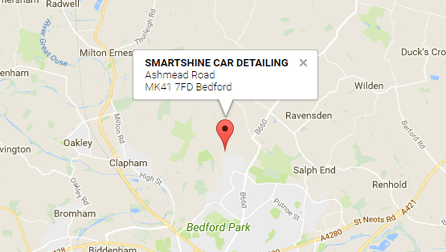 We at Smartshine Car Detailing believe we are among the best of the best in the UK when to offering car detailing and high quality paint protection services. We hope that by browsing through our detailed portfolio and out testimonials, you will trust Smartshine Car Detailing to work on your pride of joy. 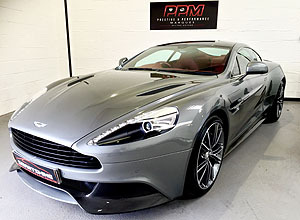 We are detailing company for ASM Performance & PPM MIlton Keynes, preparing and detailing their prestige vehicles ready for sale. See our portfolio page for our latest work. 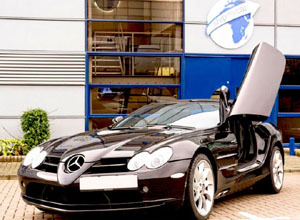 Car dealers looking for a professional detailing company to prepare their prestige vehicles? Give Smartshine Car Detailing a call today. We cover all Beds, Bucks, Cambs, Herts and all areas of London. Smartshine Car Detailing work with many car dealers at the present time looking after their prestige vehicle, increasing sales and higher profits. 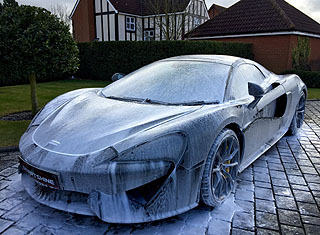 What is difference between a valet and car detail? Where a valet is a quick wash to remove dirt from paintwork this can cause more harm than good, often with dirty wash mitts being used through out the day on numerous cars. Poor washing technique will quickly leave your car swirled and looking very dull . 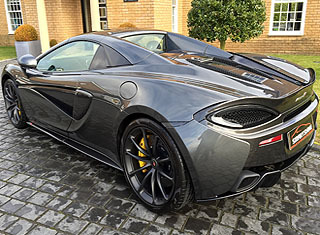 Detailing is a much longer process where the paintwork is careful rejuvenation, paint corrected is a process to remove swirl marks safely from paintwork for a fraction of what a respray will cost. 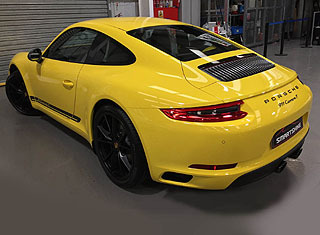 Decontamination paintwork followed by a paint correction process where the paintwork paint depth of shine is improved. Ready for a coat of protection to be added to paintwork. Perfection however takes time, anywhere from 10 - 40 hrs. 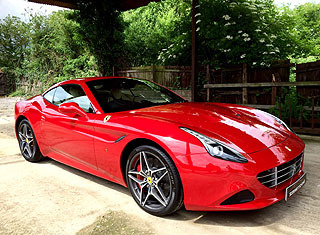 Having your car professional detailed will totally transform your car into better than new. 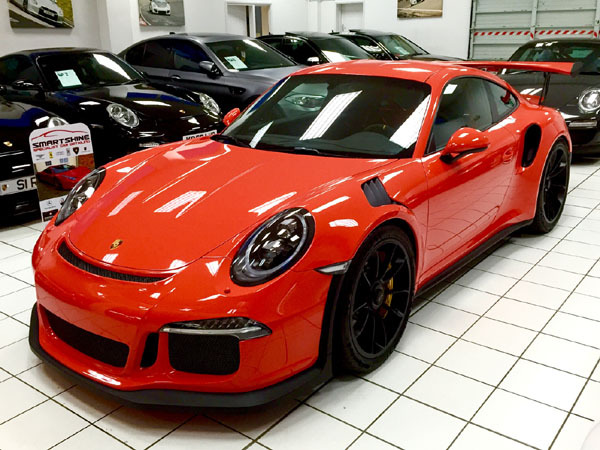 What is paint correction and ceramic coating? 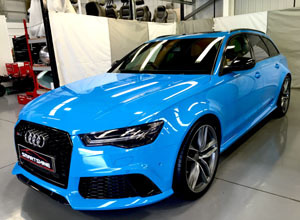 At Smartshine Car Detailing we have worked on a variety of different paint types and finishes that we do have 30 years experience to leave your car's paintwork perfect. 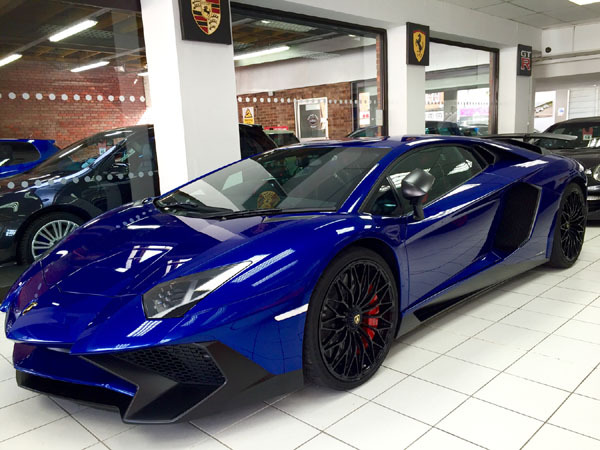 Having your car detailed will make a massive difference to your car's appearance. For a gloss enhancement detail typically removes 40-50 % swirl marks safely and great increase the high depth of shine of your paintwork. 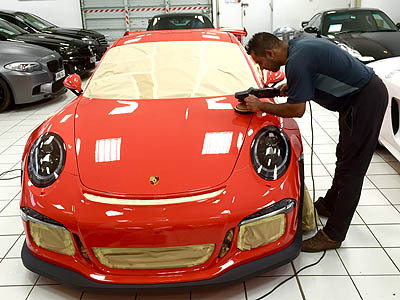 For more discerning clients, where compromise is not a option, the ultimate detail includes a full paint correction that will removes 95% swirl marks. 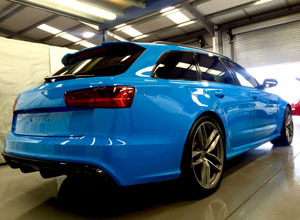 This process detail will take 3-5 days to carry out at our car detailing studio in Bedfordshire. 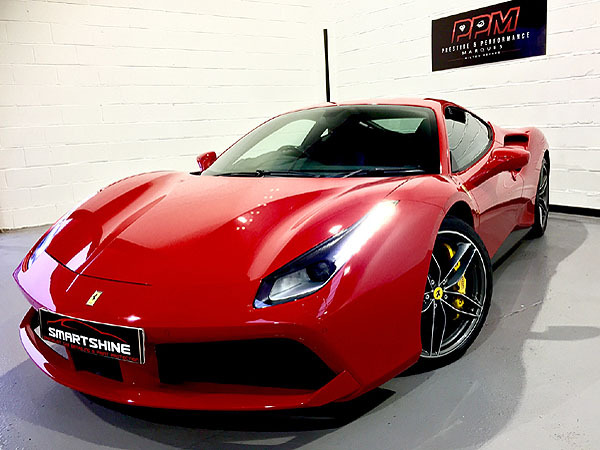 Once your paintwork is better than new, we can then apply gtechniq ceramic coatings to keep the finish locked into for up to 5 years . These coatings will protect your car against future swirl marks. All depending on how the vehicle is maintained. Maintenance detailing packages available. 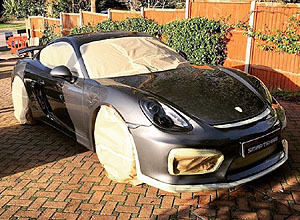 How long will a corrected paintwork stay swirl free? 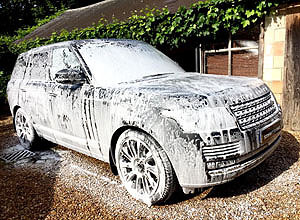 With a careful washing technique there is no limit to how long a car can remain swirl free. 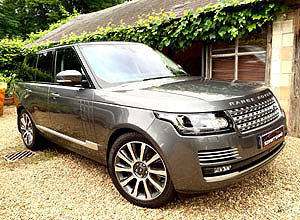 Smartshine Car Detailed have detailed many cars over the years that are swirl free for 2-3 years because we have the know how to look after your car properly. 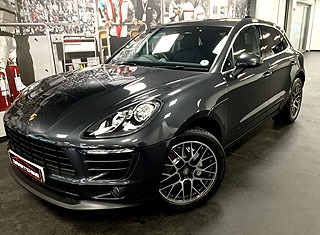 We offer our own top up detail for clients who are looking for that perfect finish on their cars all year round. Maintenance detailing packages available.